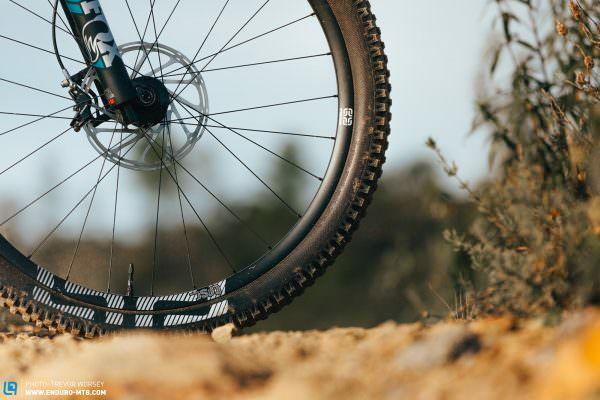 First Ride Review: YT JEFFSY 2019 – Trail DNA or an Enduro Mutation? “Say Hello To My Little Friend!” YT just dropped the new JEFFSY, and are telling us the new model is the only companion we need for adventures. Does the new YT JEFFSY 2019 retain its DNA, or has it now lost its identity? “In a true friend, great friendships will come only to fade as quickly as a firework, a rare and precious feeling. Turning life up to 11 and keeping in there. You have to hold onto friends like these because just like air, you will miss them when they’re gone. No one else gets it, but they do, they know what’s in your soul, your heart, your mind, they can blindside you and come out of nowhere, but right away you will click.” [Christopher Walken, YT launch video] This is perhaps the perfect definition of a great trail bike, a friend for every occasion, watching your back no matter the terrain and always encouraging you. Is the YT JEFFSY 2019 the friend we all need? We flew to Portugal to find out. The new YT JEFFSY 2019 looks a million dollars. Tougher, smoother and more handsome than the outgoing model. With more travel does it still retain the trail bike DNA? 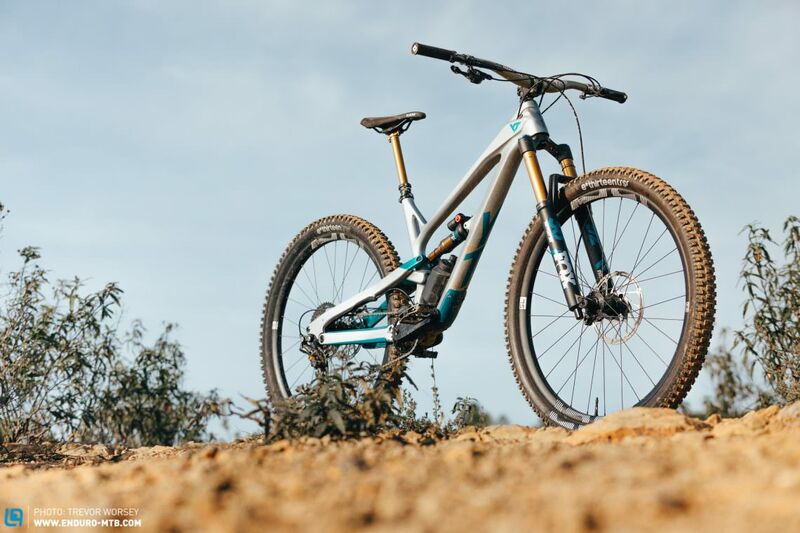 What’s new with the YT JEFFSY 2019? 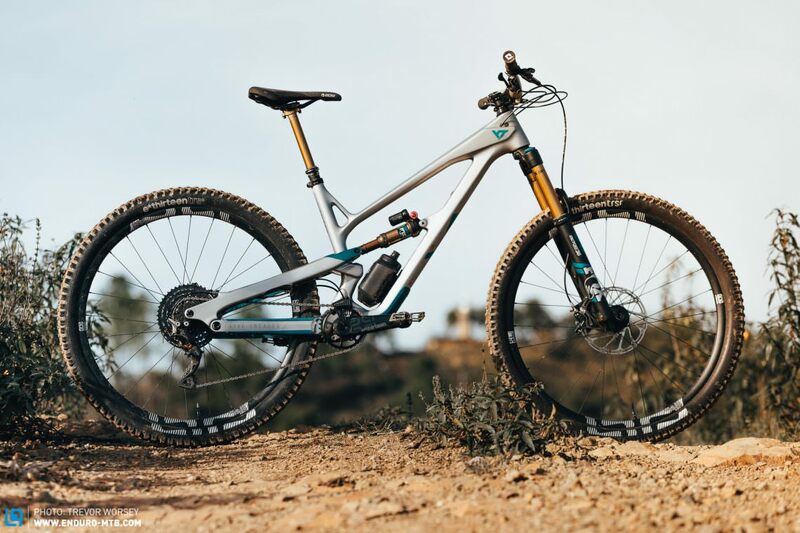 Looking at the new JEFFSY, it’s clear that YT were keen to transport the design language from the new Capra, and that’s no bad thing, the new JEFFSY is drop dead gorgeous. Smoother, more muscular and purposeful looking than the outgoing JEFFSY. A full ground-up redesign, even without looking at the geometry table, it’s clear the new bike is lower and slacker with more travel. The changes over the last JEFFSY are more than skin deep too, of course, the geometry has been ‘long, low n’slacked’, but the kinematics have also been reworked too. Gone is the low anti-squat which made the outgoing JEFFSY a bit of an unruly climber, and the leverage ratio has been increased with a little less ending stroke progressivity, but more on that later. Travel has also increased 10 mm pushing the JEFFSY a little closer to Capra territory. Finished with some design features that improve reliability and the ownership experience, we can imagine many competing brands will be sweating today. 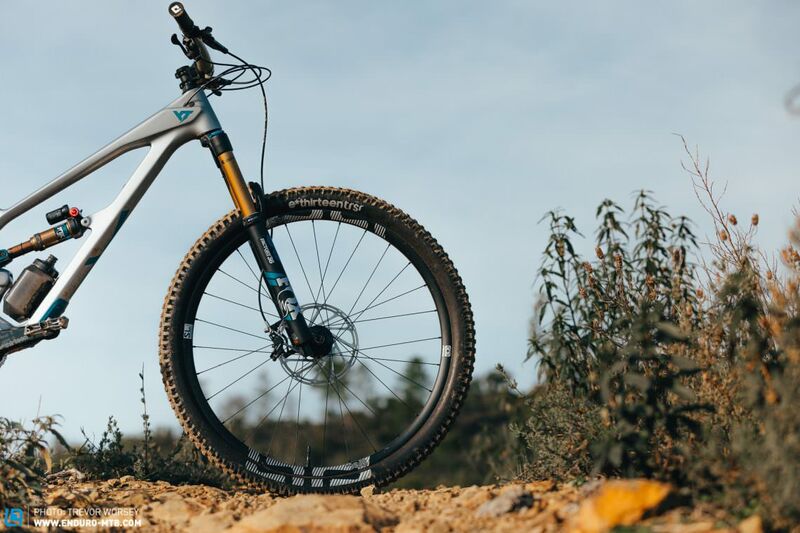 The YT JEFFSY 2019 includes a revised kinematic, which increases anti-squat and mid-stroke support, offering 10-20 mm more travel than the outgoing bike depending on model. YT have shaved a whopping 45 mm from the seat tower (size large), allowing riders the freedom to choose their bike size on reach, not seat height. 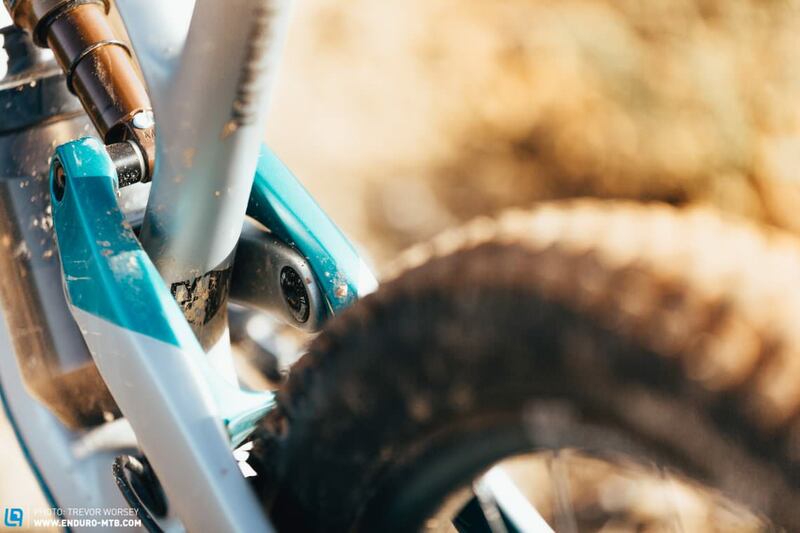 With huge standover clearance, and riser bars, you feel deeply integrated inside the bike for maximum confidence. YT JEFFSY 2019 Geometry. Longer, lower, slacker? Of course. With different travel and wheel size options available, the geometry of the new JEFFSY changes a little from model to model. 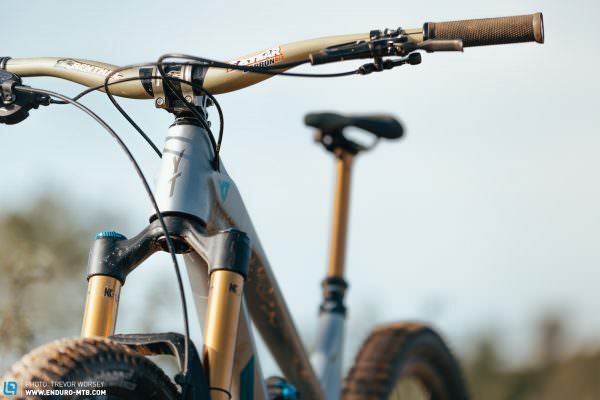 We will discuss the geometry of the 140 mm YT JEFFSY 2019. So, to the geometry. 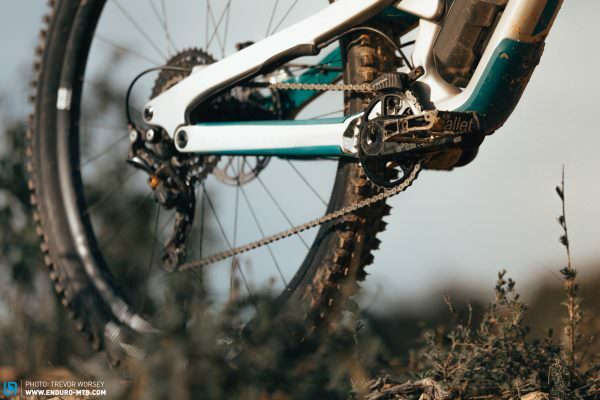 The changes to the latest bike will come as no surprise to anyone following MTB trends, longer, lower and slacker. In the size Large in the 29” model, reach has been stretched considerably, a 29 mm increase to 474 mm. Importantly YT have shaved 45 mm from the seat tube height allowing riders to choose their size more on reach that seat height. But MOST importantly, the longer reach has allowed a much more efficient 77.5° seat tube angle, up from a lazy 74.5°, this should put the rider in a much more efficient position, and in balance the head angle has been slackened out a degree to 66.5°. Stack and BB drop remain approximately unchanged, only the size specific chainstays have been shortened 5 mm to 435 mm (440 mm in XL and XXL). All JEFFSY models come with a flip-chip allowing the head- and seat-tube to be steepened 0.5° and the BB to be raised by 8 mm. 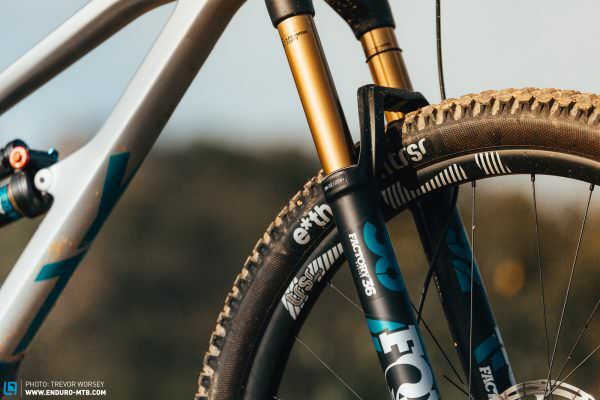 To squeeze 10 mm more travel from the YT JEFFSY CF Pro Race model it uses a longer fork and longer shock stroke, the longer fork means the head- and seat-tube slacken by 0.5° and the reach drops 4 mm to 470 mm. The longer stroke drops the BB to 320 mm in the low setting. 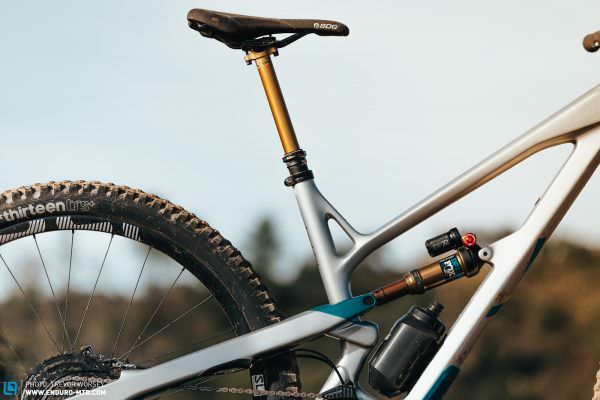 Overall the new JEFFSY has taken a big step towards a more purposeful geometry, the original bike screamed “classic trail” steep and agile it was a bike for cutting over fun terrain. 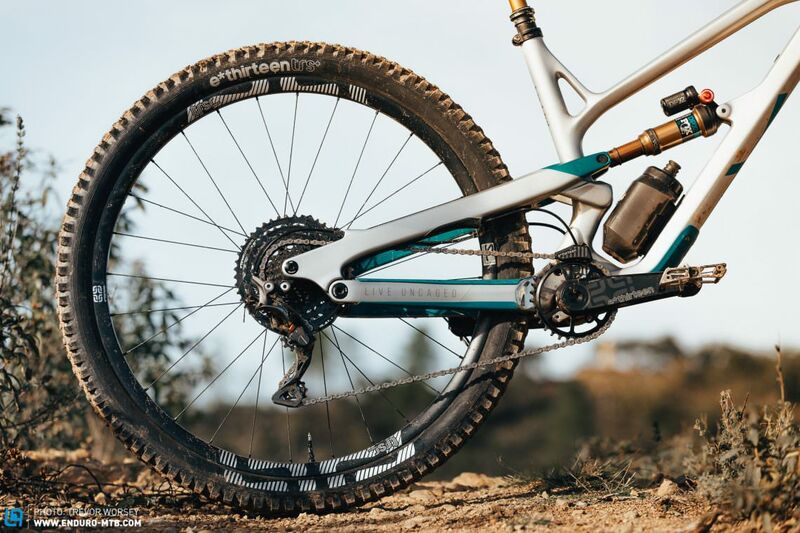 Now, 40 mm longer overall, the latest bike screams “YT’s vision of trail”, now stepping on the toes of the Capra, does that mean it has lost some of its endearing charm? 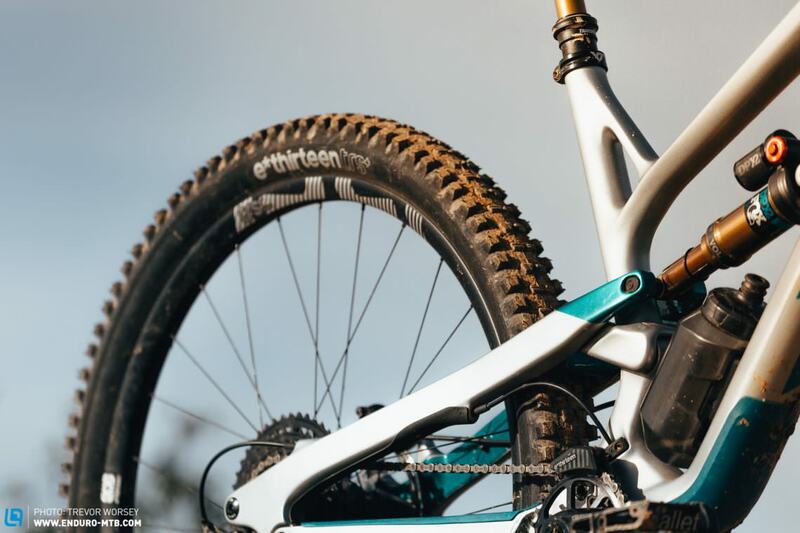 The YT JEFFSY 2019 has a flip chip allowing you to steepen the bike, we did all our testing in the low setting. We found the best riding experience running 30% SAG, the BB height is well chosen for smooth cornering and confidence. YT have developed a special FIDLOCK water bottle, offering 600 ml of capacity with a magnetic retention system. For a direct-sales brand, reliability in the field is more essential than ever, Nobody wants to be enforced no-bike time while a problem is sorted out under warranty. As such, YT have gone to great lengths with the new YT JEFFSY to minimise potential problems. 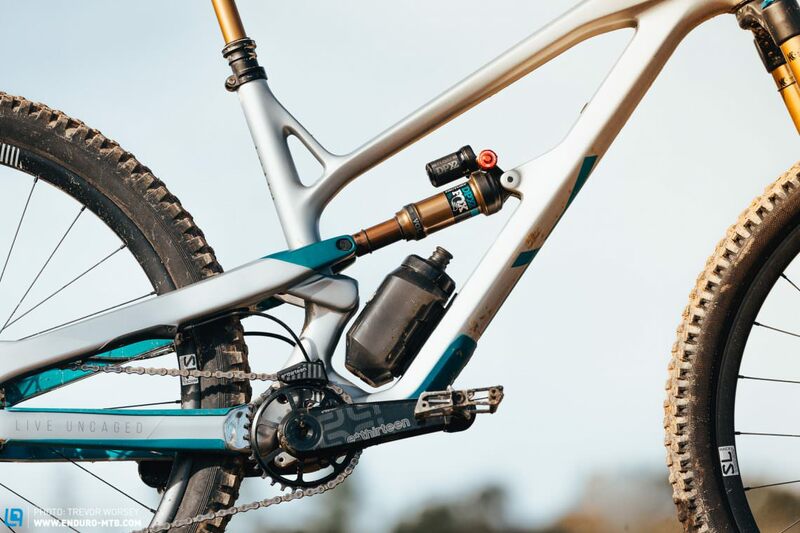 All bearings now have a protective radial bearing cover to minimise water ingress and the new pivot hardware, as used on the DH bikes and Capra, is designed to be easily serviceable from one side. YT have also worked hard to ‘trail-proof’ the bike, the inside of the chainstays have been trimmed down to minimise mud-collecting areas. The frame is well armoured, the PU downtube protector that falls off is gone, in place is a proper fixed guard and long chainstay protector. The mech hanger has been altered to protect the frame from dropping chains when changing the wheel. Looking at internal routing is enough to get most riders in a sweat, but there’s no need as all ports have continuous tubes routing right through, with clever capture mounts that stop tapping, and provide smooth continuous cable turns inside the frame. 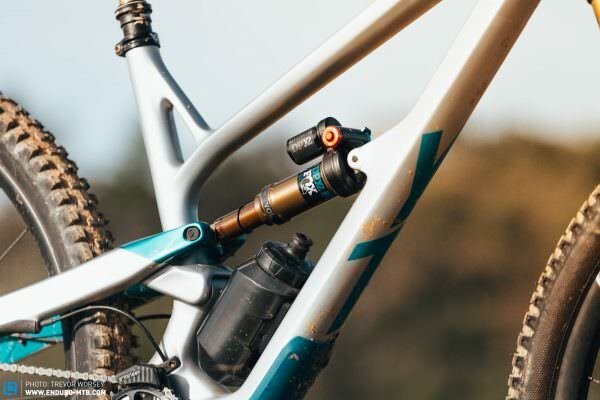 On trend, the YT JEFFSY 2019 has a magnetic FIDLOCK mount, which works great to retain the bottle, fits all frame sizes with 600 ml of capacity. For those who do not want to run a FIDLOCK bottle, a smooth cover is available to replace the mounts. The linkages have been streamlined to minimise mud collecting areas. All pivots are designed to be accessible from one side and the bearings feature new covers to minimise water ingress. All models will be available with 27.5 and 29 inch wheels, but we cannot see why you would not choose 29 as it works so well. The intent of the new bike can be seen in the tire choice. This is no gentle trail bike, it’s an animal. A keen biker since the early 90’s Trev began his professional career as a research scientist and statistician, but it was the lure of the mountains that finally called him. 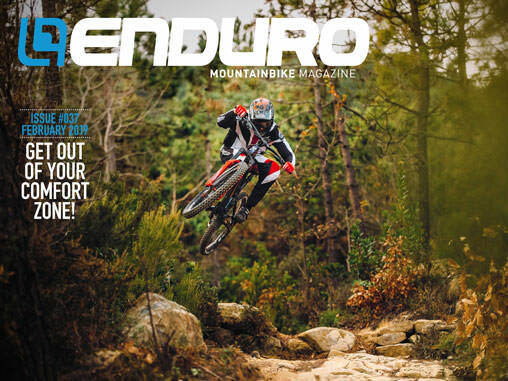 After seven years working as an international Mountain Bike Guide he joined the ENDURO team and now coordinates exciting news, reports, reviews and group tests from the UK office.